Beautiful creatures! Did you know that owls have silent flight? If an owl's wing is injured it can be a virtual death sentence because they lose the element of surprise that makes them such effective predators. Let me know when you win. Stunning photo! A Whoooo-loween treat! 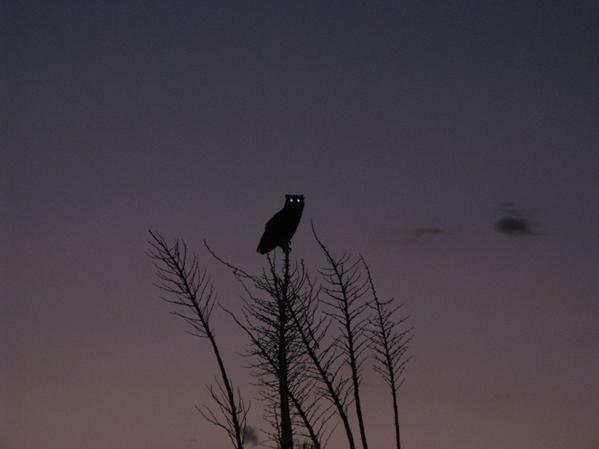 This is a great photo Do you happen to know what kind of owl this is? Hi Kathy! I am guessing it's a great horned owl. But I'm not an expert.